Fellowes Powershred® 79Ci Jam Proof Cross-Cut P-4 Shredder. 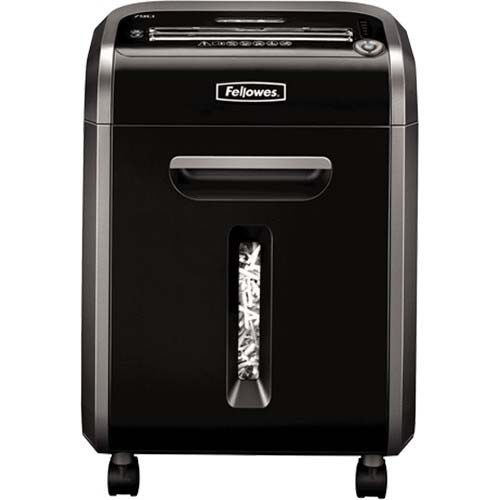 Fellowes Powershred® 79Ci 100% Jam Proof Cross-Cut P-4 Shredder features Silent shred technology which gives pleasant working style in the silent atmospheric zone and inbuilt with Jam Proof intelligence that eliminates paper jams and powers through hard jobs. Equipped with SafeSense Technology that stops shredder on sensing human hand interventions. 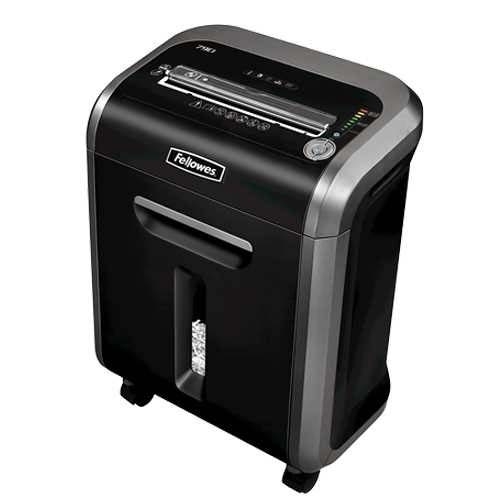 Ability to shred 16 sheets per pass into 5/32" x 1-1/2" cross-cut particles with a high degree of security supported with 6-gallon capacity pull-out waste bin. 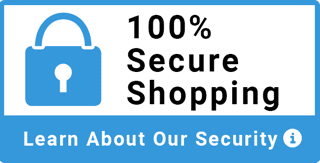 Providing a high degree of safety by using safe sense technology, Stops instantly by sensing human hand interventions as a precautionary factor. Ensures maximum sheets pass by advanced visual indicators which promotes complete utilization. Runtime: 20 minutes before cool down period. 2-year warranty on machine and lifetime warranty for cutters. 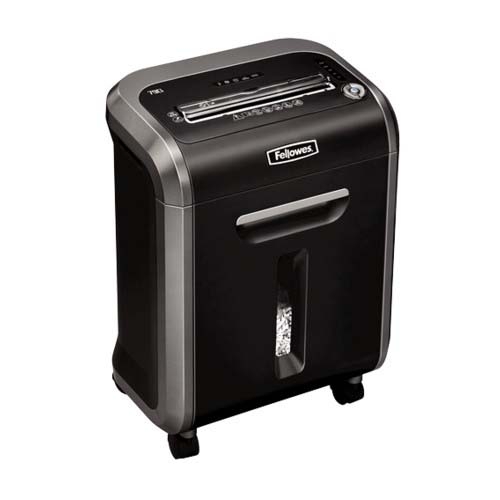 Excellent value shredder in a cross-cut with a 0.30 horsepower motor. 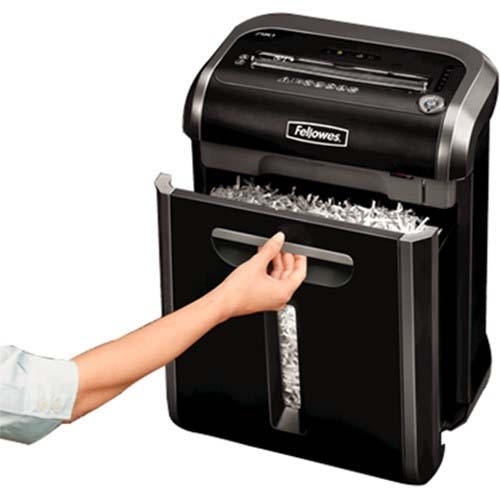 Shred size, 5/32" x 1-1/2" cut 16 sheets capacity. Shred Size (in. ): 5/32" x 1-1/2"